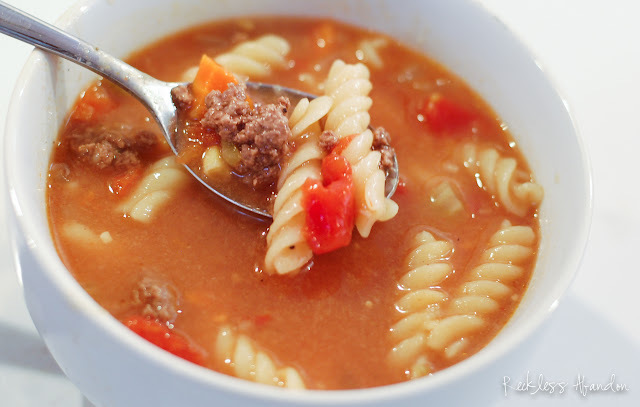 It's fall (at least in Denver) which means it's soup time! 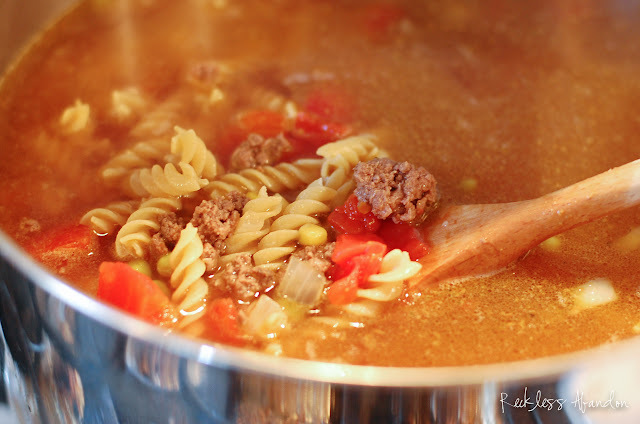 I love having a big pot of broth, veggies and meat simmering on the stove all day. 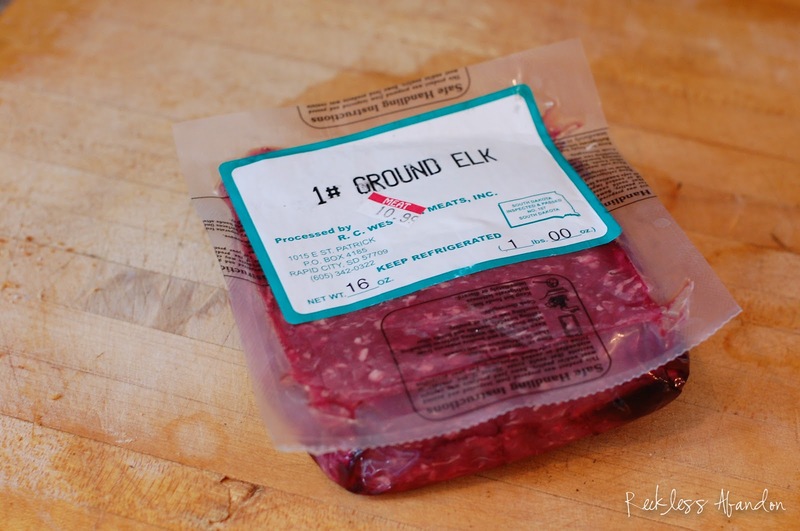 This is down-home comfort soup is made with game meat — elk — but you can use ground beef, buffalo, or turkey. 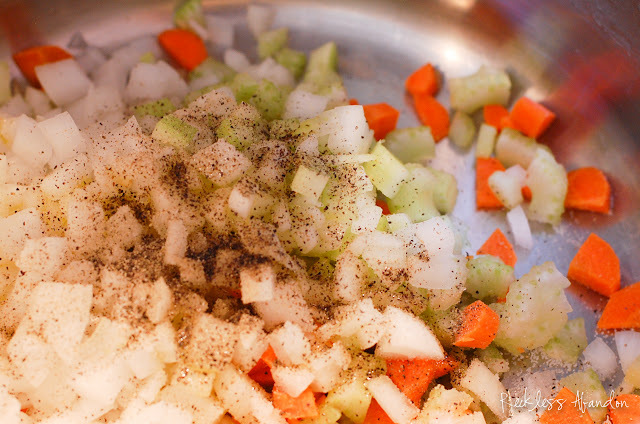 Freeze any leftovers in muffin tins and pop them out once frozen. Put three frozen soup blocks in a plastic baggy and back in the freezer for a quick week-night meal. 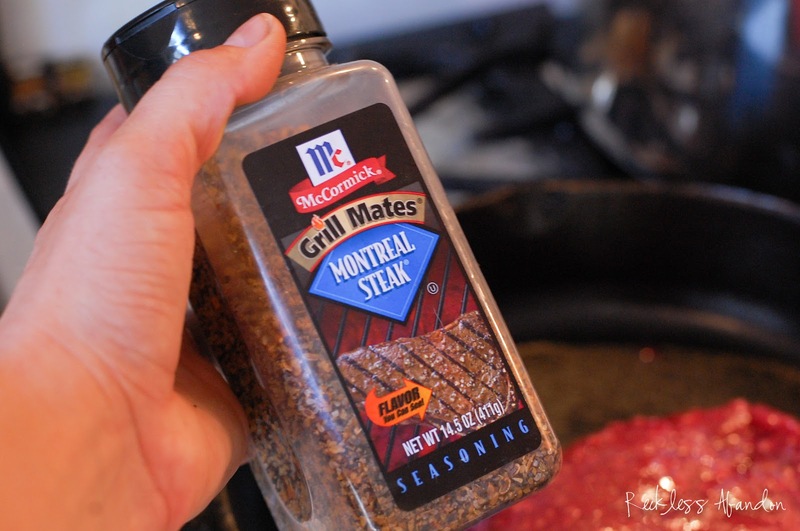 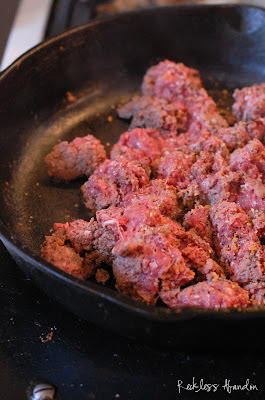 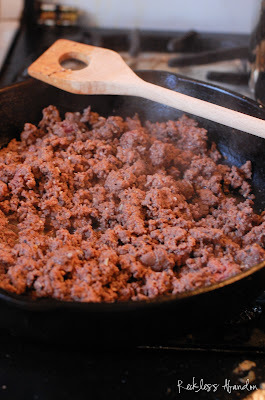 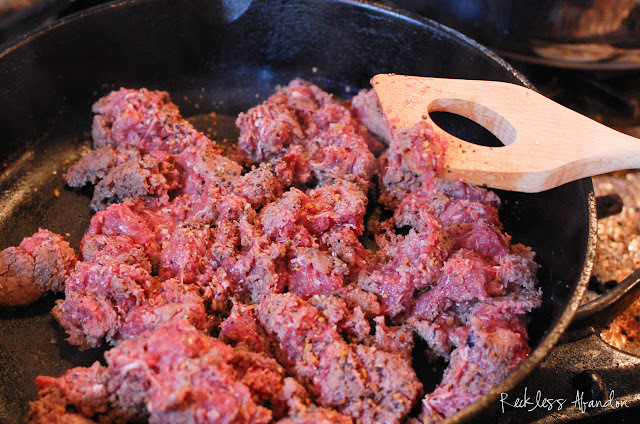 First, brown the ground meat in a skillet with the 2 Tbsp Montreal steak seasoning. 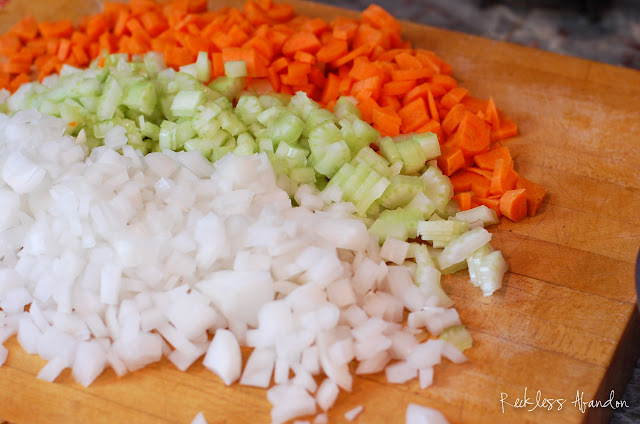 While the meat is browning, chop your 2 carrots, 1 celery rib and 1 white onion. In a large pot add the onion, carrot, celery and 2 Tbsp olive oil with a sprinkle of salt and pepper. 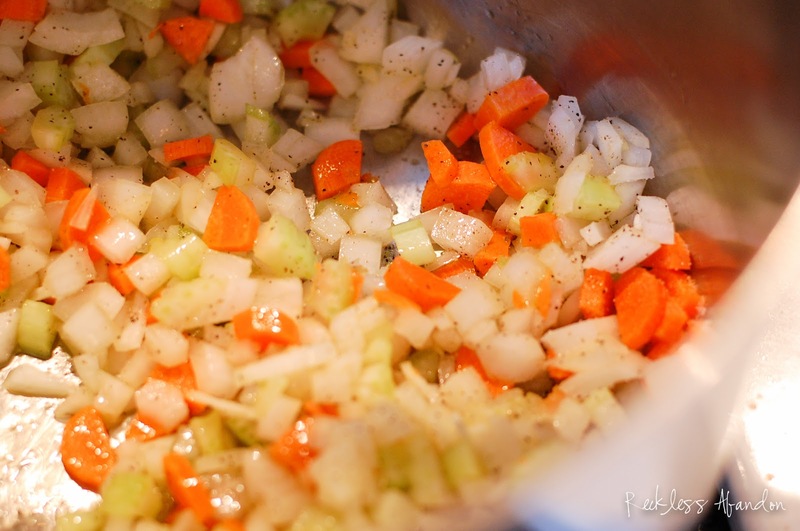 Saute the veggies over medium heat until the onions are translucent but not browned. 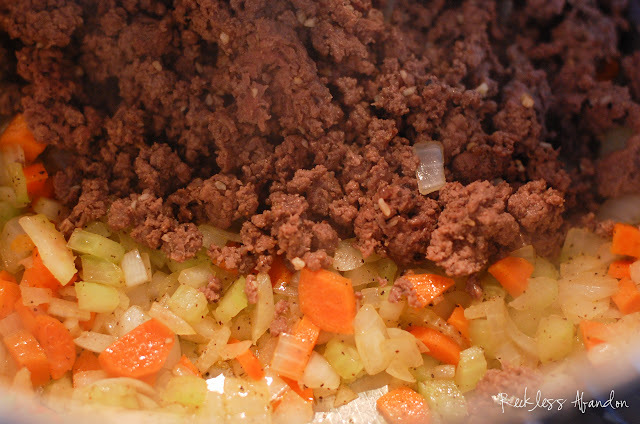 Drain any excess fat from the meat and add to the pot of veggies. 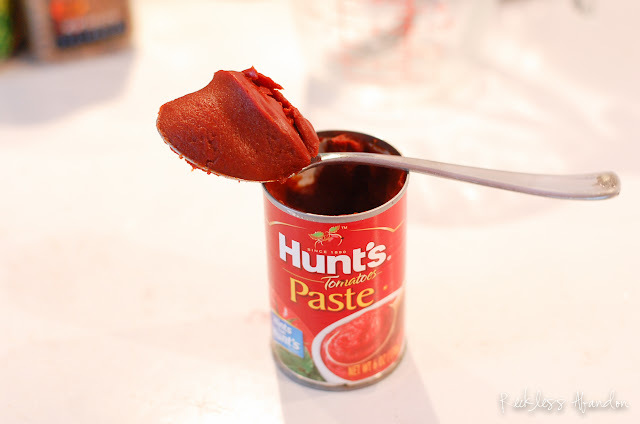 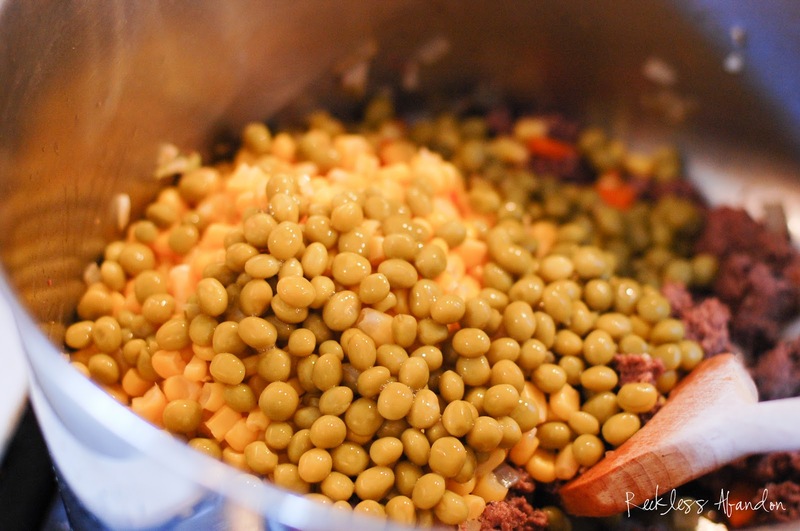 Add the remaining ingredients: 1 can corn, 1/2 can peas, 1 large can diced tomatoes, 6 cups beef broth, 6 cups water, 3 Tbsp tomato paste and 1 lb. 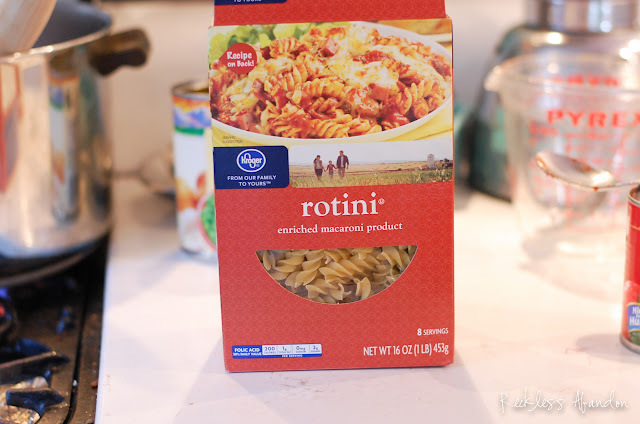 rotini. 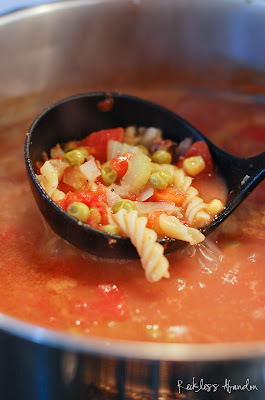 Raise to high heat and bring the soup to a slow boil. 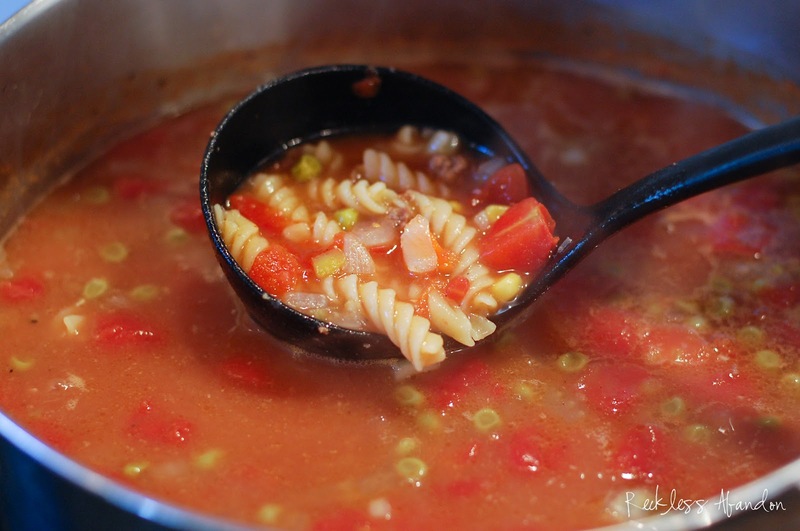 Reduce the soup to a simmer and cook until the pasta is al dente (about 10-15 minutes). Serve warm with possibly some cornbread and honey-butter! If you let the soup simmer for awhile make sure the liquid doesn't get too low. Just add more broth or water and check the seasoning before serving.